5 ⭐️ seller Highly recommend ❤️If you buy from them u won’t regret it! case was smashed but CD was ok.
Great value and free shipping. I love this CD and I lost my other one. It was wrapped in plastic and plays great. Very nice! Excellent CD With Journey's Top Hits. There is nothing bad about this CD, I was thinking about just purchasing a few songs from Amazon Digital, but it would have been a waste of money. Since I purchased the CD I got 15 songs for under 5 bucks and I'm glad I made my purchase with Ebay. This CD is a must get for Journey fans. 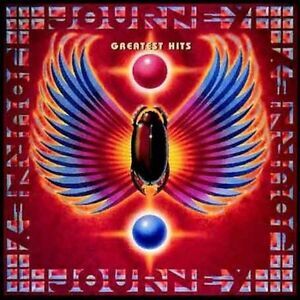 Journey's Greatest Hits with Steve Perry as lead singer is fantastic and with 15 of their songs on one CD WOW!!!! This is an amazing CD. It has hit after hit after hit. A must have for any Journey fan!